Airlink connects you to Nosy Be with direct flights from Johannesburg on Sundays. Nosy Be lures water-loving visitors to it for incredible diving, swimming, snorkelling and sailing experiences. Inland there are cocoa, ylang-ylang and vanilla plantations, crater lakes and waterfalls to explore by road, foot or quad bike. Sandy beaches, snorkeling, sailing and spectacular sunsets. Nosy Be, A unique Indian Ocean island, Madagascar provides provides the ultimate beach adventure getaway. 293 on Komba offers spacious upmarket accommodation set in a beautiful bay on the remote island of Nosy Komba. It is an ideal couples retreat. In the heart of a tropical garden, delineated by two long beaches of white sand, lies Madagascar’s largest hotel and tourist complex Andilana Beach Resort. Andilana Beach Resort offers its guests an exceptional setting for a dream holiday – ideal for couples and families alike – that successfully offers both privacy and opportunities for social interaction. Hôtel Clair de Lune, situated just 500m of the beach of Ambatoloka, boasts seven bungalows, a beautiful garden, a swimming pool as well as a restaurant with a french chef. The villas offered are of different sizes, thus able to meet the needs of different sized groups in search of sun and a change of scene: from couples, to families and groups of friends. The beauty of the location, the proximity of the sea and the recreational facilities available guarantee an unforgettable holiday for people of all ages. Situated on the west coast of Nosy Be, Sakatia Lodge provides comfortable accommodation in tropical surroundings with first class scuba diving. Venturing to the remotest parts of the continent, Time + Tide’s family of safari properties spans Zambia and Madagascar. The company offers a modern-day explorer the luxury of space and the chance to feel fully alive. Stop. Look closer. Touch the Earth. When booking your dream island holiday, doesn’t it make sense to do it through an operator that specializes in islands only? With the expert specialist knowledge that we have built up over years of selling the destinations we feature, you can rely on Barefoot Breaks to find you the perfect island and lodges to suit your individual needs and budget! Sunbathing alone on an endless sandy white beach is no longer a memory of bygone days…Situated off the North West coast of Madagascar, this unspoiled tropical island, blessed with almost perfect weather, is ideal for island hopping,fishing, snorkeling, scuba diving, yachting and sunbathing. Take a charming stroll in a Pirogue, massage with Malagasy essential oils and enjoy romantic candlelight dinners on the beach or at the guest house. This trip offers the ultimate in romance as you immerse yourself in raw beauty of the unspoilt. Your accommodation is ‘293 on Komba Guest House’ a delightfully private setting, yet not far from the Village of Ampangorina. 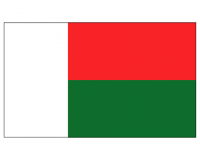 To promote awareness about Madagascar amoung travellers and to increase the tourist industry to a level that will make the leaders aware that it is a viable alternative to deforestation and other activities detrimental to the fauna, flora and people of Madagascar. Destinations A Buzz is a wholesale tour operator offering a colourful palette of countries in Africa and the Indian Ocean Islands. With around 55 years of travel service and at least a 100 countries explored between them, Janet McCloughan and Helen Mann are recognised experts in their field. Pro Dive specialises in Dive Travel Packages and is the agent for some of the most exclusive resorts and liveaboards around the globe. Whether you enjoy the freedom of a South African Self Drive Holiday or a more laid back Guided Coach Holiday Tour of South Africa, with your own personal driver guide. Selftours will turn your dreams into a memorable holiday. Reef Divers are diving operators offering a range of diving courses in Nosy Be. African Fusion Travel has a passionate team of travel specialists with a reputation for delivering memorable and affordable travel experiences in and around Africa and the Indian Ocean Islands. We know every individual is unique which is why we take time to understand what you are looking for and to ensure we deliver you a trip of a lifetime. Rove Africa offers holidays, safaris, honeymoons and beach packages in Kenya, Tanzania and the eastern Indian Ocean islands.‘Safari’ means ‘journey’ in Swahili - the friendly, welcoming language of East Africa - and if you want to discover the real meaning of the word, Rove Africa is your first choice of operators.